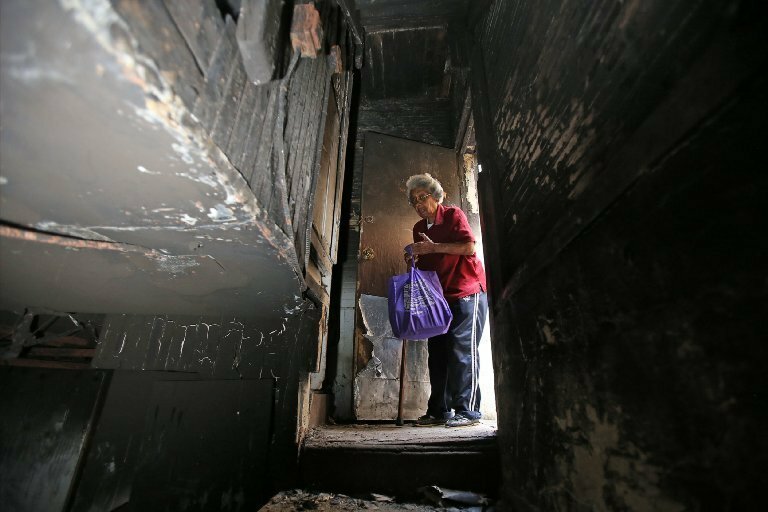 An electrical fire ravaged the East Orange home of Gwendolyn Dixon, 82, in March 2016. 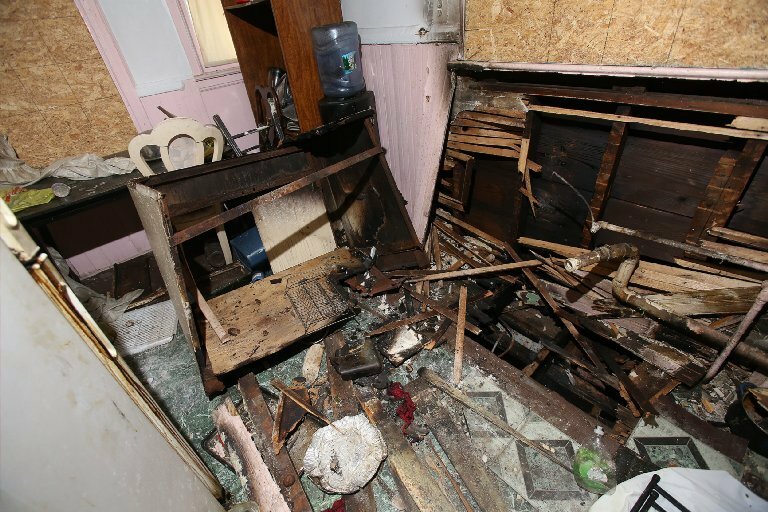 The fire started in the basement of the three-family home and moved up to the first floor before it was extinguished. 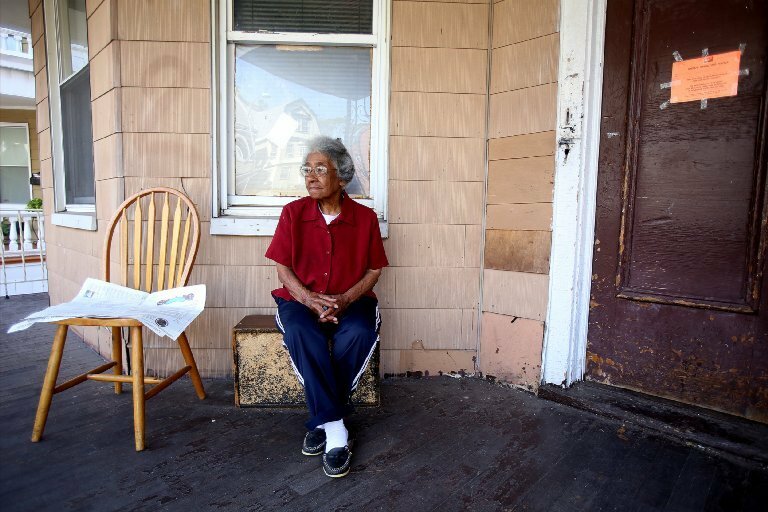 A renter lived on the first floor, Dixon on the second and her son, who also paid rent, lived on the third floor. They all lost their home. The Red Cross set Dixon and her son up for three days at a local hotel, and after that, they had to move around. They depended on donations from friends and even temporarily moved to Georgia to stay with family. Before the move to Georgia, Dixon saw in the neighborhood a contractor — Michael Solise of Clean Air USA — who she said once did work on her roof. She hired him to fix her home, signing a contract for $84,200. Dixon received the first insurance check for $29,579.35. It was dated July 21 and written to both Dixon and Solice. Dixon, in Georgia, told Solise the check had arrived, she said. “After a promise of being able to resume my residence so that I could continue living in my home within two weeks, the contractor insisted I return in order for both of us to sign the check,” she said. Dixon returned to New Jersey and moved back to the hotel on Aug. 8. Dixon said she met Solise at a Wells Fargo branch the next day and a rep said they’d have to open an account together to make the deposit, and they did. “Two days after signing check contractor Michael Solise went to the bank and took out all my money,” Dixon said. After Bamboozled got involved, we asked Wells Fargo if a joint account was needed. A spokesman said a check written to two parties would have to be endorsed by both, but could be deposited into either party’s account. This sounded horribly familiar in the wake of Wells Fargo fake account scandal. Were Wells employees pressured to create unneeded accounts? Either way, the money is gone. Dixon said she asked Solise why he withdrew the money. Dixon began to worry when no work started on the home. She tried calling for updates. Solise told her in the second or third week of August that he was waiting for an architect, Dixon said. In another conversation, Dixon said, Solise said he had an electrician at the house. She also asked about the permit. Solise also said he needed an asbestos report, Dixon said. On Sept. 15, records show, Solise told Dixon’s son via text message that an asbestos company was coming to the house. Dixon’s son asked for an update via text on Sept. 20. She spoke to the building department, which explained architect requirement and that the contractor only had to put in writing he would take care of any asbestos. Reps also told her Solise had never applied for a permit — something Bamboozled later confirmed with the building department. Next, Dixon visited the Hillside address listed on Solise’s Business Registration Certificate. The address was for a furniture store, and employees said they didn’t know Solise, Dixon said. There was no sign of a business called Clean Air USA. Dixon said Solise stopped answering her calls, so she filed a complaint with Consumer Affairs in Essex County. “I’m in a very, very bad spot and about to lose my home, after 82 years in one house. I was born and raised there,” Dixon said. Bamboozled learned about Dixon’s case after two of her neighbors independently asked for help on her behalf. We reviewed Dixon’s story and the documents. The contract is missing many items required by state law. For example, there is no start or end date for the job and the HIC registration number is missing. While Solise has a valid Home Improvement Contractor (HIC) registration, it was only valid as of Sept. 6. That means he was working as an unregistered contractor when Dixon hired him. One document has a number after the words “Contractor’s License,” but it’s not the HIC number. We’ve been unable to determine what that number represents. Another document says he’s been licensed in the state since 2002, but state records show that’s not true. One the contract, the description of the job is somewhat unusual, so we’re sharing it in its entirety, exactly as it was written. Another document listed his specialties, including electrical and plumbing, but the state has no record of a plumbing or electrical license for him or the company. We asked Solise for a status update on the job. We asked why he withdrew the money from the joint account. “I’m not privy to tell you that,” Solise said, noting he has an attorney. We asked how much he had spent on the job so that if Dixon wanted to cancel the contract, she’d know how much to expect back. “You’re asking me too many questions. Right now it’s not any of your business,” he said. We asked for his attorney’s contact information, and Solise told us not to call him again, disconnecting the call. But there were still questions, so we sent Solise a text message saying Dixon wanted her money back, and asking about the address he uses, the deficiencies in the contract and more. We asked the furniture store if it had a relationship with Solise or his company. An employee did some checking, and said Solise used to work for the company but was fired, and that Solice had no dealings at the address. We asked the Treasury Department what happens if a business lies on its registration. The Division of Revenue would first have to first receive a complaint from another agency, such as Consumer Affairs, said spokesman Joseph Perone. Then the account would be reviewed to “determine if any action should be taken, including revocation,” he said. Consumer Affairs confirmed the furniture store address was used on Solise’s HIC application. The agency said it can suspend or revoke any registration upon proof it was obtained through fraud, deception or misrepresentation. “Listing a false or invalid business address on an HIC registration application would constitute obtaining an application through misrepresentation,” a spokeswoman said. The division said it recently received Dixon’s complaint, which is now under investigation. 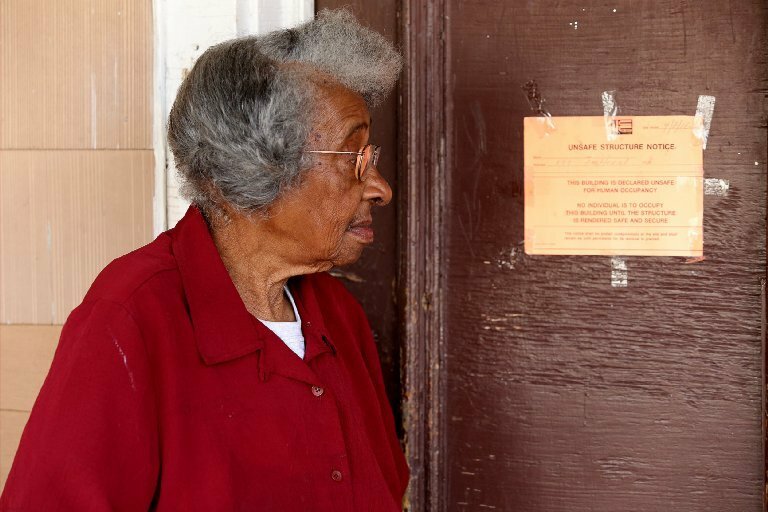 We reached out to the folks at the Department of Community Affairs to see if it could help Dixon with temporary housing. Nothing has come through yet, but Dixon had praise for the agency’s efforts. “I wouldn’t wish this on nobody,” Dixon said.